These are the last days of preschool for us, and I’ve resisted writing about them, embedding them with meaning and sentiment with which I am not sure I am in touch. And then today I took my oldest daughter back to her own preschool classroom to say a hello and a goodbye to the retiring director. It was as I stood in that room, where my daughter had once a cubby, and a rest mat, and had memorized her own address, that I realized with a thud, there would be no more preschool rooms for me. And I wish that weren’t so. These rooms are not so different from one another—my five year olds attend a different school—the tables and chairs are miniature; the blocks are wooden; art work fills the walls and hangs by wire from the ceiling so low it grazes the tops of parents’ heads; the dress up corner is the most popular. And there didn’t seem to be all that much to miss until now—now that there will be no child of mine in this gentle in-between phase again. These preschool years have been filled with tantrums about clothing, learning to legibly write their names, misunderstood song lyrics, and questions about the exact origin and nature of everything from God to planets to flowers to construction workers. I have watched unsure toddlers disappear into bold and dauntless children. Every moment has tried and fed and defined my soul. And I will never do exactly this again. My children are looking forward to kindergarten, what they understand of it—and they are ready and prepared in their individual ways. The day will be longer, the class much larger, the expectations worlds greater for them than those of preschool. They will decide where to sit and eat their lunches, and next to which friend. They will decide who is a friend. It is what happens now, and we’re melting with joy at the possibilities ahead. 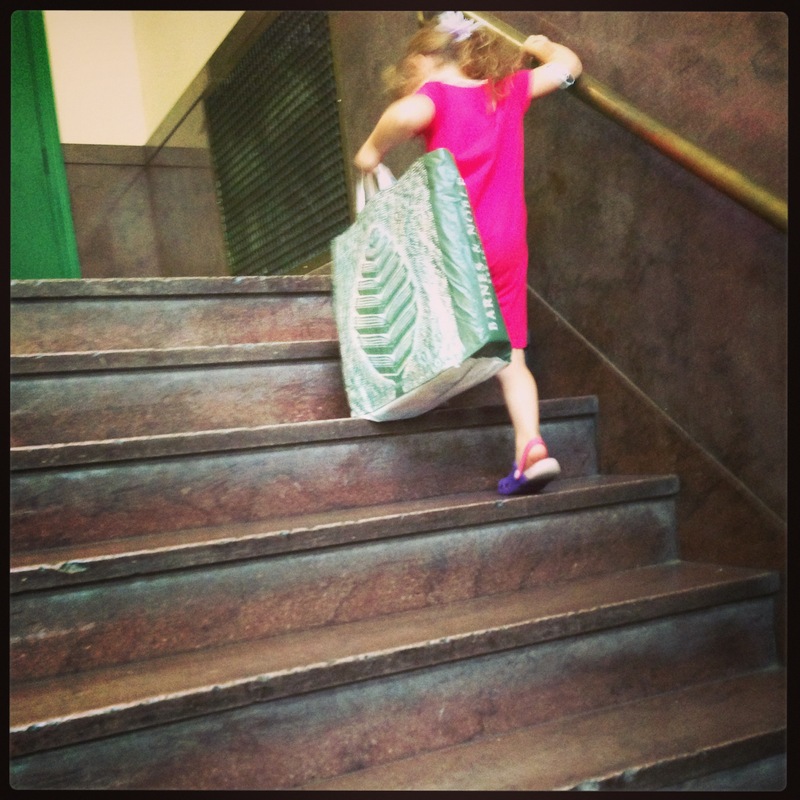 I’ve waited for mothering three small children to “get easier,” and this is when it does. But I am not ready for these young and simple years to be over. We will be out of town the day of their “moving up” ceremony at preschool. They will miss that and the entire last week of school for a family trip. I was feeling sad and very guilty about this—that they and we wouldn’t have these memories of the last official day of preschool, the pictures of the ceremony, the special outfits for the day, the hugging of other parents with wet eyes. And now at the end of the year, I think it may be better to leave for vacation early, saying goodbye to their classroom, still decorated with drawings and paintings, and their friends still seated around the miniature tables, as if any of us could possibly return to this place again. This post was originally published on Appleseeds blog. This entry was posted in Family Life, It's All About Me, Mental health, New York City Living and Coping, Parenting Moments, Writing and tagged appleseeds, growing up, kids, new york city, preschool. Bookmark the permalink. The “better” is the life that you choose to live, not special boxes on a calendar. Sigh…so many endings and so many beginnings. I hope this ending and beginning is a happy one for your whole family.